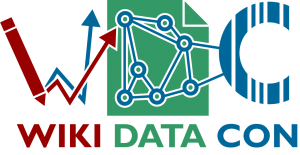 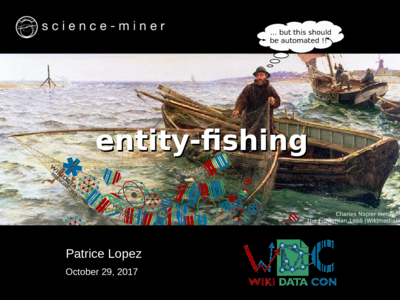 Presentation of entity-fishing at WikiDataCon 2017, Berlin, Germany. 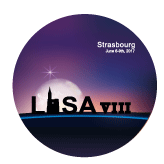 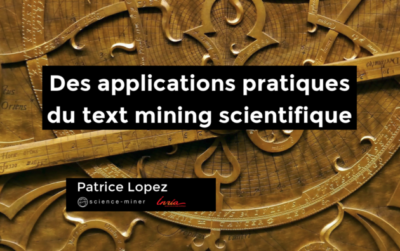 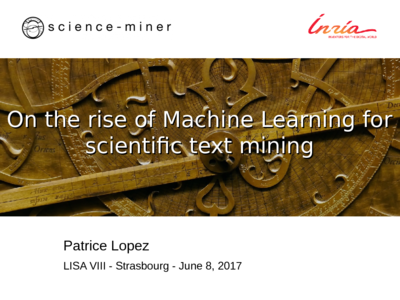 Conference at INIST-CNRS (Nancy, France), December 2017. 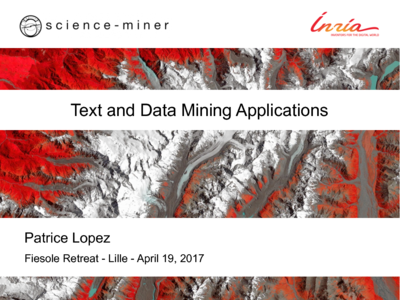 Presentation at the Fiesole Collection Development Retreat Series, 2017, at LILLIAD Learning center Innovation, Lille, France. 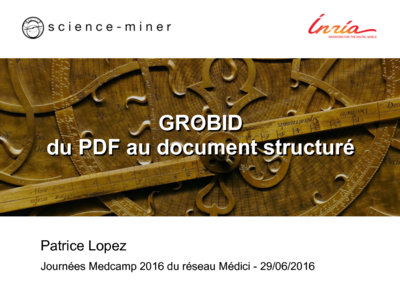 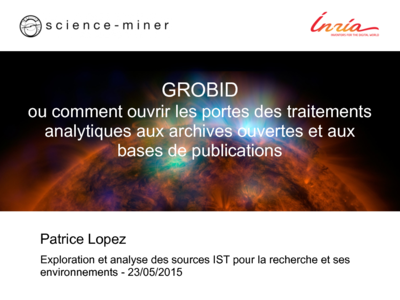 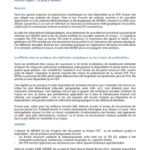 Presentation on GROBID and grobid-quantities at data4ist workshop, Paris, France (in French).